Want to see your business advertised below? Thank you to all Lassiter Baseball sponsors. Our program cannot thrive without your support. We are committed to empowering you to use your wealth to live a great life. By combining our deep expertise, innovative approach and comprehensive service offering we deliver a personalized financial design as unique as you. At Mount Paran North we exist to help people live a Christ-centered life, especially those disconnected from Christ. We believe a fully functioning life is a Christ-centered life consisting of four active relational qualities: Loving God, Making Friends, Serving Others, and Sharing the Story. E Smith Heating & Air Conditioning Inc.
For more than 50 years, E. Smith Heating & Air Conditioning, Inc. has been proudly serving homeowners and commercial businesses in Marietta, Kennesaw, Roswell, Acworth, Smyrna, Woodstock, and surrounding communities. In May 2013, we opened our doors and welcomed shoppers to our boutique and gift store for the very first time. We are so grateful for the response and support the community has already given us. Our East Cobb boutique is located in Marietta’s Highland Plaza Shopping Center at 3605 Sandy Plains Road near Publix and Bath & Body Works. 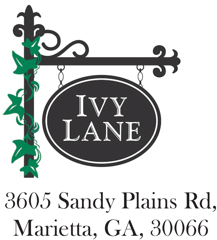 Owner Julie Turner, a long-time Cobb resident and busy mom of three, hopes Ivy Lane will fill the need for a convenient gift and clothing store in the Shallowford Road-Sandy Plains area. New Lucky China located at 3045 Gordy Parkway, Marietta GA 30066, now under new management of Fuji Hana Group. 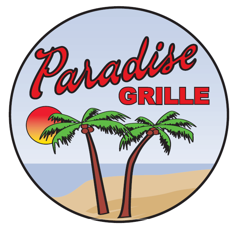 Please visit us for the best Chinese cuisine and Sushi. To provide the industries best automotive related services by training, empowering, and rewarding exceptional people; by earning the loyalty and exceeding the expectations of each and every customer; and by giving back to the communities that support our success. Meticulous attention to detail, an eye for aesthetics, and a warm personal approach. ©2019 Lassiter High School Baseball / SportsEngine. All Rights Reserved.